Polished Plastics can clean all you UPVC products using our unique 4 stage cleaning process, which includes having your plastics solvent and cream cleaned, degreased and then "Aqua Waxed". Our anti-static Wax helps repel rain water and restores the original appearance making your UPVC cleaner than ever. Our unique process leaves that “Just Installed Look” which lasts for up to 24 months. 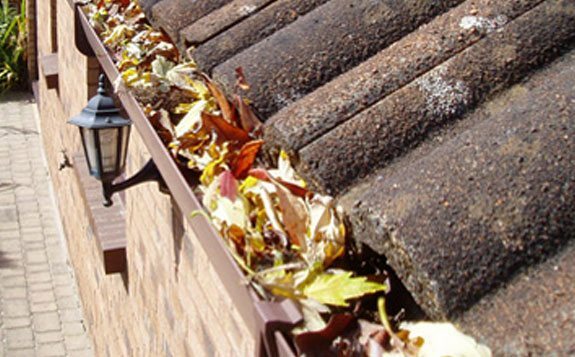 Keeping your gutters clear of blockages from accumulated debris such as leaves, moss, and dirt is an important part in protecting your property against damp penetration and gutter blockage. 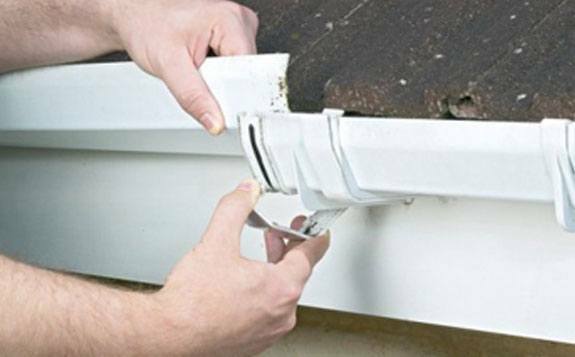 Without proper regular maintenance, damp and decay caused by blocked and damaged guttering can lead to expensive repair bills. 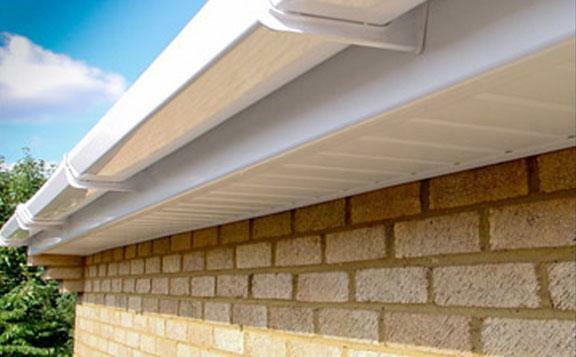 Polished Plastics are experts in the replacement of roofline and guttering products. We specialise in the replacement of old wooden fascia boards, replacing them with new modern UPVC boards. These strong and durable UPVC boards will not decay over time and will provide a fantastic look and feel to the exterior of your home or business premises. 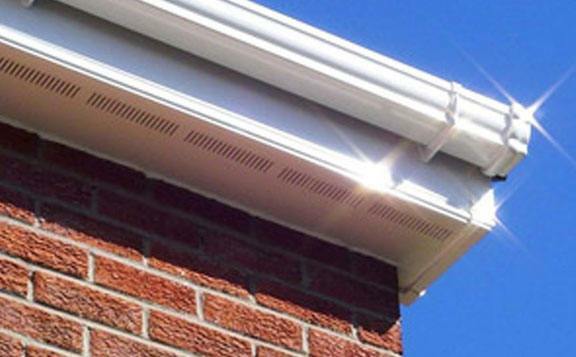 Polished Plastics offer a roofline repair and gutter repair service to customers across Newcastle, Sunderland & Durham and throughout the North East. The roofline and guttering plays an important role in protecting your property from water damage. REMEMBER WHEN YOUR UPVC LOOKED BRAND NEW? In order to keep its original appearance, manufacturers recommend cleaning UPVC window frames at least once a year. 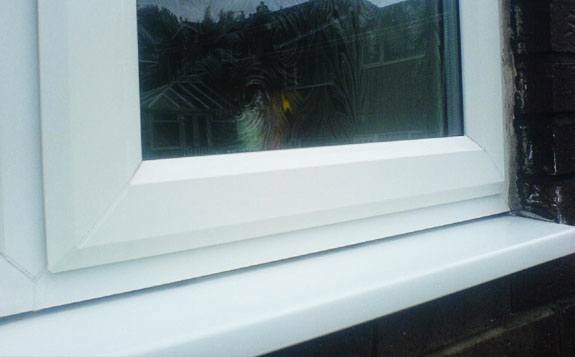 Polished Plastics are the North East's leading UPVC cleaning specialists. With a unique 4 stage cleaning process, we are experts in conservatory cleaning, conservatory roof cleaning, UPVC window & door cleaning and roofline cleaning (including fascias, soffits & guttering). If it's UPVC maintenance then we are the people for you. 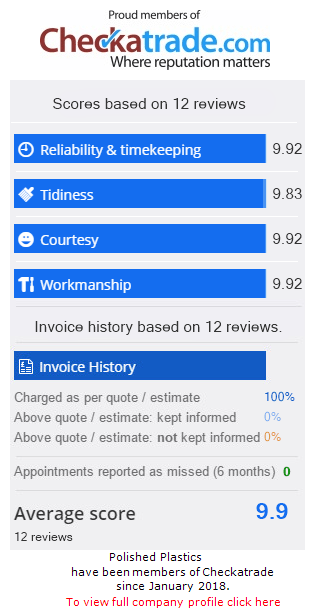 We are reliable and affordable UPVC cleaners North East homeowners can rely on. Have your UPVC products professionally solvent cleaned, degreased, and then ‘Aqua-Waxed’ by our high trained UPVC cleaners. The cleaning products we use are manufactured locally to our specification, ensuring they meet our high quality and performance standards. 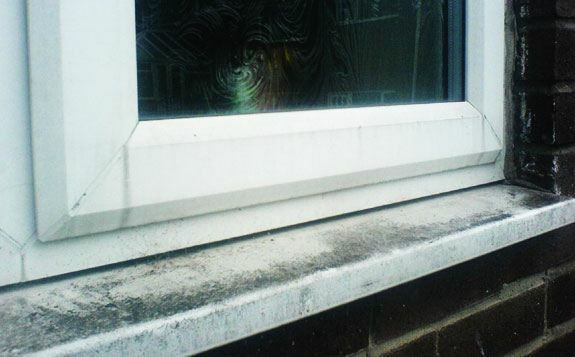 Our anti-static Wax helps repel rain water and restores the original appearance of all UPVC. In turn this helps our us stay in place as one of the North East's leading UPVC cleaning companies for Newcastle and across the region. OUR UNIQUE CLEANING PROCESS LEAVES THAT “JUST INSTALLED LOOK” WHICH LASTS FOR UP TO 24 MONTHS. We use purpose made solvent and cream cleaners to remove the build up of dirt, carbon deposits from black rubbers and water stains. We brush on a foaming depressant that includes a traffic film remover. All moss and algae is removed. The anti-static wax in the foam leaves a finish on the plastic. To finish we take care of any stubborn spots that are visible and squeegee the glass to remove any residue that remains. In short, once cleaned it will stay cleaner longer. WANT UPVC CLEANING PRICES FOR YOUR HOME?